I'm a sucker for pretty packaging and when I first saw the skincare range from Dr. Konopka's, I knew I had to get my hands on some to try out! 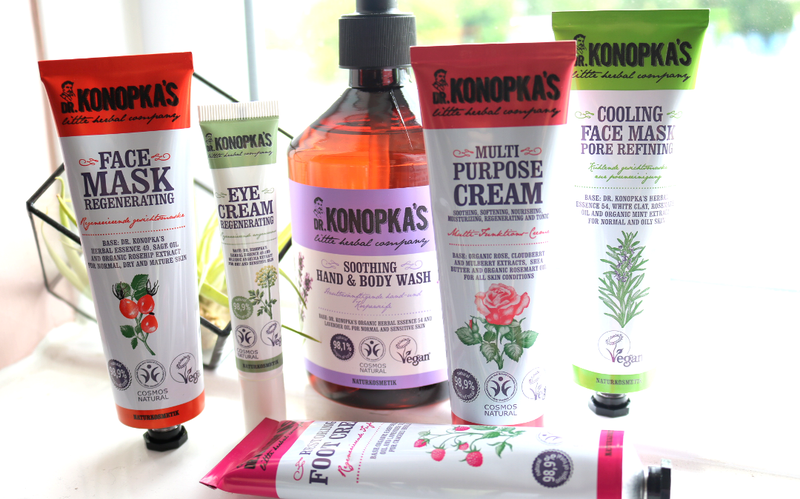 Dr. Konopka's is a budget-friendly, natural, organic and vegan approved skincare brand, whose products are all based on herbal recipes that were developed by Dr. Konopka when he was working as a pharmacist in the 1930s (hence the cool apothecary style packaging). In 1931, he opened his own small pharmacy in the suburbs of Tallin in Estonia and his passion for working with herbs and plants grew as he developed his own natural remedies for various common ailments. Throughout the '30s, he created product after product, including a popular wound-healing cream which was made with the extracts of 48 beneficial herbs, antibacterial soaps and countless body and hair products which were tested on his beauty obsessed wife. He also came up with over 150 oil formulas just for hair! Fast forward to the present time and Dr Konopka's original natural herbal recipes were re-discovered in 2013 by the Estonian Eurobiolab who developed them with modern technology for a wider audience, all in keeping with the company's strict ethical and organic certificates and standards (you can check these out here). It's wonderful to see a brand like this come back to life, so I was keen to try out some of Dr. Konopka's for myself when the opportunity recently arose. 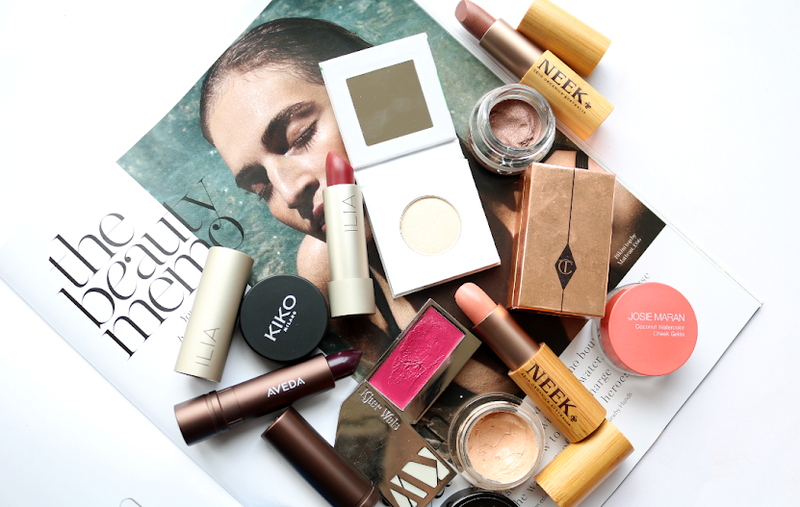 I picked the following products to give a little overview of what they have to offer, but they do have an enormous range! Everything is free from parabens, mineral oils, paraffin, synthetic dyes and artificial fragrances. Regular readers will know that I'm somewhat obsessed with face masks so naturally, I'm going to start with these two! Both come packed in recyclable aluminium tubes which I was really pleased to see and you get 75ml of product in each one which will give you plenty of applications. The one on the left is called the Cooling Pore Refining Face Mask and this has been developed for normal and oily skin types. It features a base of White Clay, Rosemary Oil, Organic Mint extract and Shea Butter, which is blended in with Dr Konopka's Herbal Essence No. 54 to help deeply cleanse the skin, unclog pores, remove impurities and hydrate the skin at the same time. I love these types of masks because it always feels like you're getting the best of both worlds as it's clarifying and moisturising, so your skin won't feel dry or tight afterwards. I left it on for 15 minutes and it has a pleasant cooling, slightly tingling effect for the first couple of minutes. After rinsing it off, my skin definitely looked clearer and less congested, felt nourished, and I noticed that some stubborn blackheads from my nose had also been removed. Result! 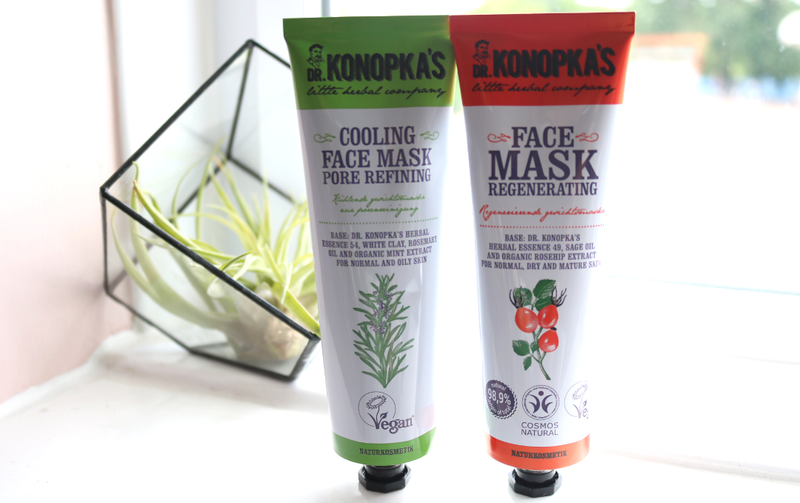 If your skin is normal, dry or mature, I'd recommend the Regenerating Face Mask which is infused with Dr Konopka's Herbal Essence 49, Glycerin, Sage Oil and Organic Rosehip extract. It has a lighter, creamier texture than the mask above and contains a range of vitamins and minerals, as well as several skin-friendly natural moisturising ingredients to hydrate. This is a lovely mask to use once a week to keep your skin feeling smooth and supple, and it gets to work in just 15 minutes. 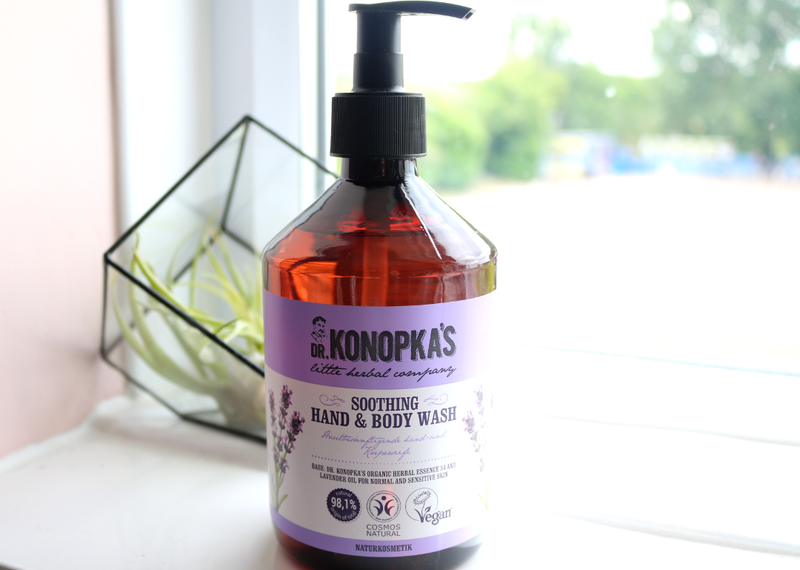 For the bathroom, this multi-purpose Soothing Hand & Body Wash is SLS-free (it uses Sodium Coco-Sulfate which is naturally derived from coconuts to produce a mild lather instead), which my sensitive skin loves. It contains Lavender Oil so it has a classic, naturally relaxing fragrance that always helps me to sleep better whenever I use it. Ideal to use in the shower, bath or as a hand soap, it'll gently cleanse your skin without stripping it. 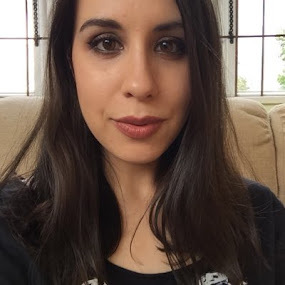 I was drawn to this Regenerating Eye Cream because I've noticed that a lot of the eye products that I've been using lately have been on the luxury/high-end side of things, so I've been on the hunt for a more affordable alternative for a while now. 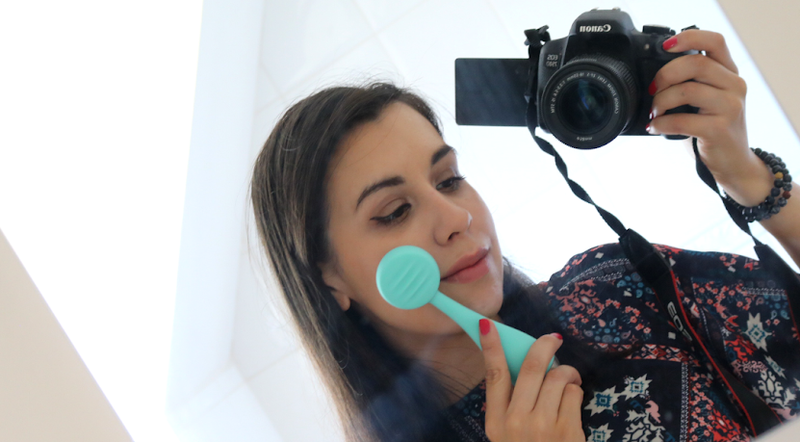 I must admit that I wasn't expecting any miracles from this, but after using it for a month, I can say that it has exceeded my expectations and I've really been enjoying applying it in the mornings before putting on my makeup. 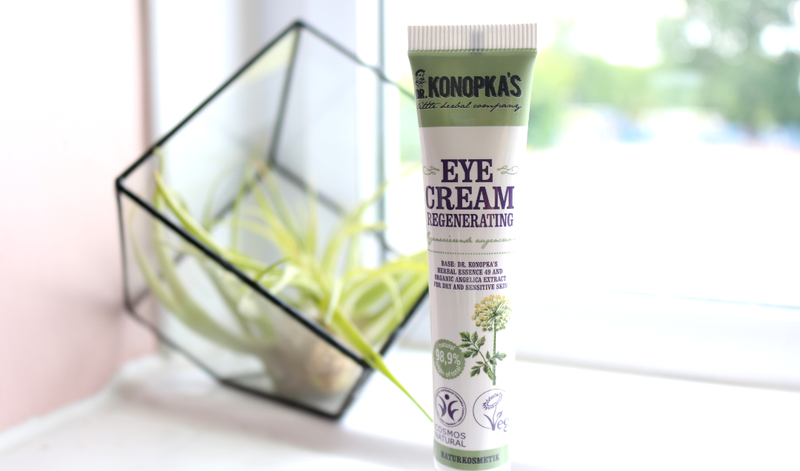 Made with 98.9% natural ingredients and featuring Dr Konopka's Herbal Essence 49 base and Organic Angelica extract, this eye cream has a light and easily absorbed cream texture, but it still manages to fully hydrate dry undereye areas, and would be suitable for sensitive skin types to use as well. It smoothes and gently tightens the skin, helping the eyes to look more youthful. If you're searching for an affordable eye cream, this is definitely one to try. Multi-purpose products are a constant staple in my skincare stash and this Multi-Purpose Cream is ideal to use on any area of the face and body that feels irritated, sensitive, dry or just needs some extra TLC. Packaged in the same recyclable aluminium tubes as the Face Masks, this cream contains an expert botanical blend of Organic Rose, Cloudberry and Mulberry extracts which are all rich in vitamins and minerals to help repair and restore the skin's natural barrier and improve its elasticity, whilst Shea Butter deeply moisturises and nourishes, eliminating any redness and dryness. As you'd expect from a product like this, it has a thickish texture and a little goes a long way. 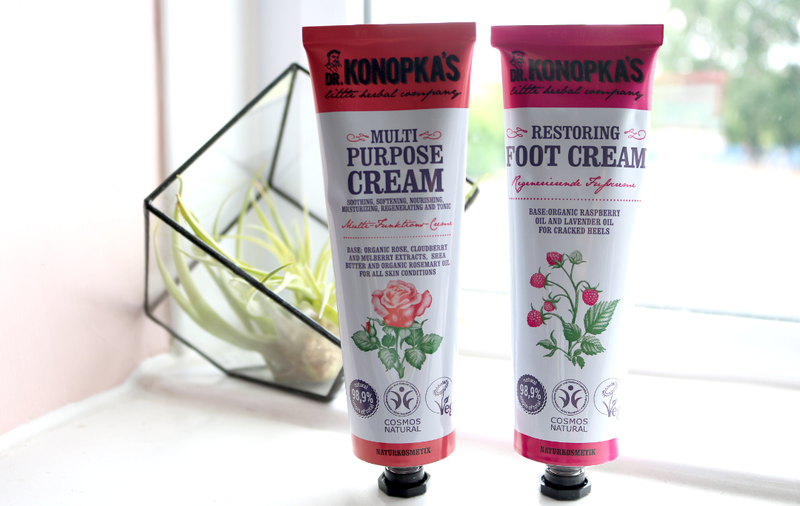 To pamper your feet, you can use the Restoring Foot Cream which is a life-saviour if you've been travelling or have simply been on your feet all day. It has a rich Shea Butter base which is infused with Organic Raspberry and Lavender Oil to replenish and restore moisture to dry, cracked heels, leaving them feeling as soft as a baby's bum afterwards! 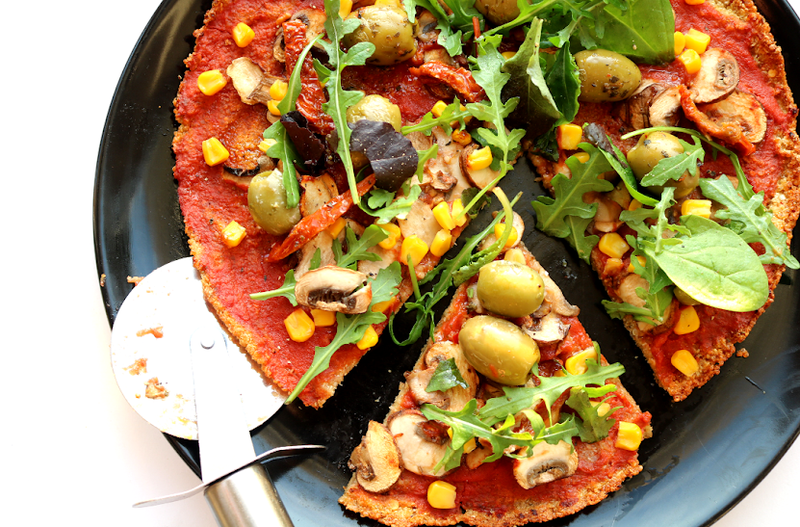 Have you tried anything from Dr. Konopka's?